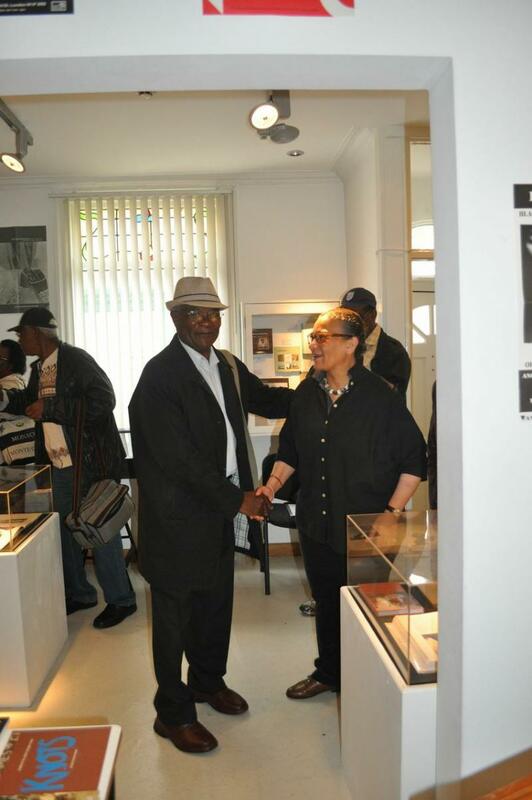 Last week in collaboration with Preston Black History Group we hosted a series of events the first of which was a two hour session in the Archive space for members to look at our collections of photographs by Jeanne Moutoussamy Ashe and George Hallett and browse through some of our rare books and catalogues. 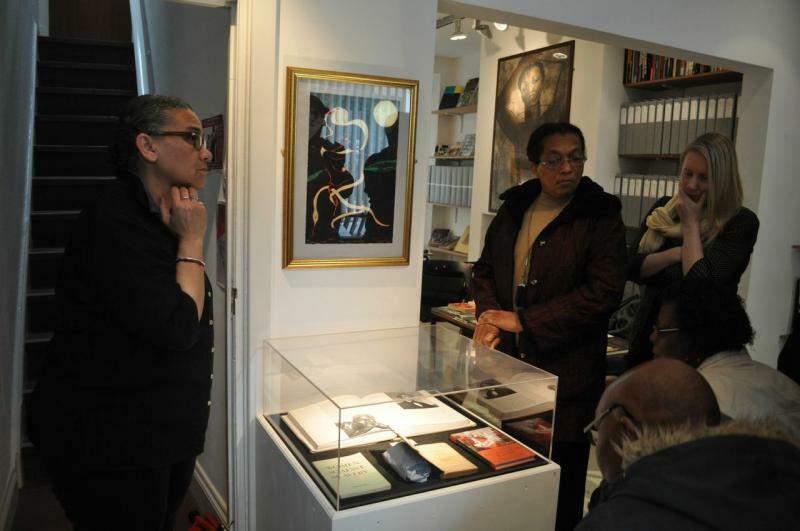 We also discussed our print by Chris Ofili and a first edition of Narrative of the Life of Frederick Douglass lent to us by colleagues in the Institute of Black Atlantic Research at UCLan. 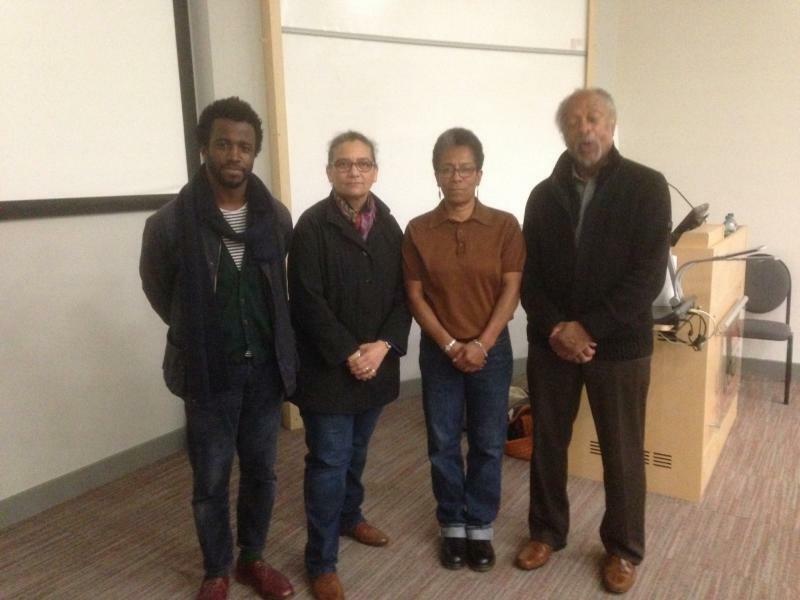 One evening Lubaina gave an introductory talk to accompany the film ‘Images and Conversations’ in the 1980’s by Susan Walsh to an audience of members and guests at Jalgo’s in Preston. The discussions ranged from black artists’ relationships with public museum collections to making a living through creativity. The audience for Ingrid Pollard’s lecture was treated to a presentation lasting over an hour in which she discussed seven series of her work made during the past 20 years around the theme of Home. The workwe saw gave everyone a lot to think about and included luscious full colour portraits, hand tinted reflections on absence and loss and ranged from life for black people in rural England or urban Texas, to interrogations of the family albums. 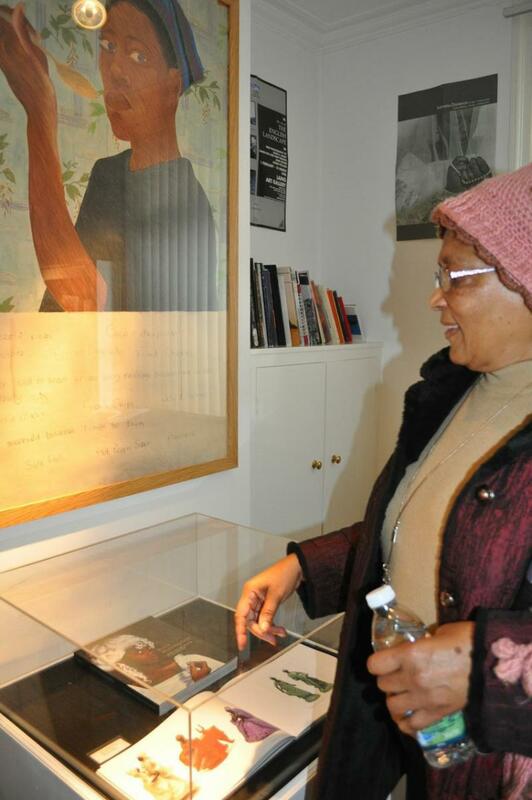 Posted in News and tagged black history, ingrid pollard, lubaina himid, photography.